Conneting you to the world. And the world to you. Here at Studio FX3 we can custom design a modern responsive website that is esthetically pleasing based on your requirements and needs. We can code any specific functionality based on your business logic. We can create custom graphics for your website. From design, creation, implementation to hosting. Contact us for a free consultation. Have a hobby that you want to share information about? Or want to inform people about services you provide? A personal website does just that. People are visual, so the more you can show (rather than tell), the better. A personal website can be a simple informational about me site. 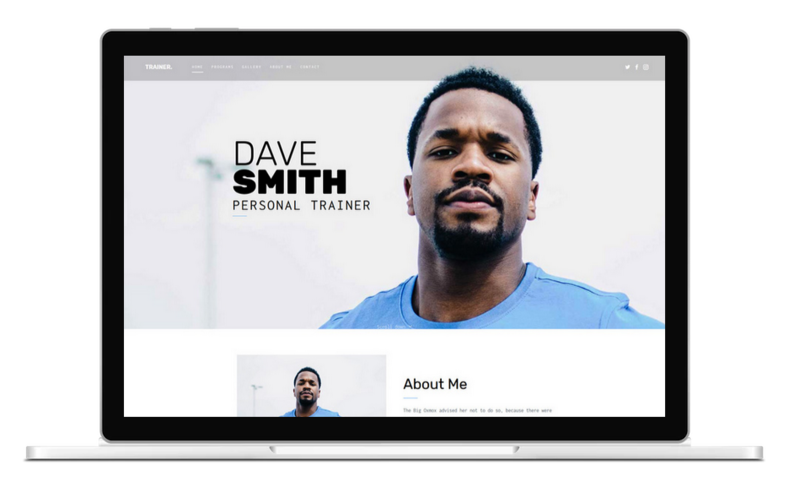 Say, for example you're a personal trainer, or a counselor, or a therapist and want to and inform and educate people about the services you provide; a personal website suites those needs. Also note that personal websites are non-product based sites (do not reqiure an online store) but can however include such things as a downloadable PDF Brochure. Why have a small business website? Because your competitors all have company websites and your customers expect it. Consumers typically start their buying journey with research and recommendations from peers and social network connections. Studies show that once a consumer has an idea of what they need or want, they start researching, and 72 percent of them go online to find educational material, reviews, and testimonials. So if you're not staying competitive with your competition, you're giving potential customers a reason to buy from someone else. Graphics, pictures and icons spruce up any website. At Studio FX3 we can also create any custom graphics you may need for your website. We can work with you to help design logos, business cards, brochures, or any other types of designs you want. By utilizing Dell's Compellent SAN, a true Enterprise grade storage solution, we have a unique high performance disk space solution. This "smart storage" forces all disk write activity to RAID 10, which is the fastest redundant storage configuration. Over a short period of time, data is then moved to RAID 5 storage for efficiency in disk read activity with a combination of higher storage capacity. Every part of our disk storage is redundant. We not only have multiple primary SAN's (as described above), but we have invested heavily into secondary SAN's with live replication from the primary SAN - which ensures recovery in the event of a problem with the primary SAN. Note: Domain Name registration and hosting (or renewal) are per year ($175.00 total which breaks down to approximately $14.58/mo). Some URL extentions are more. Website costs are starting prices. Costs may increase as the complexity of your site increases. Contact us for a free evaluation and quote.